No tricks just Halloween Treats that don’t involve candy. Don’t worry this article is not a post on sending raisins or bags of carrots with your childs class or passing them out to trick or treaters. I am the first person to tell you that as a child and even as a grown up I get excited about trick or treating because of all the great candy, I will get, I mean my kids will get. So even though I write this post for our health conscious readers I personally am all about good chocolate goodness on Halloween. 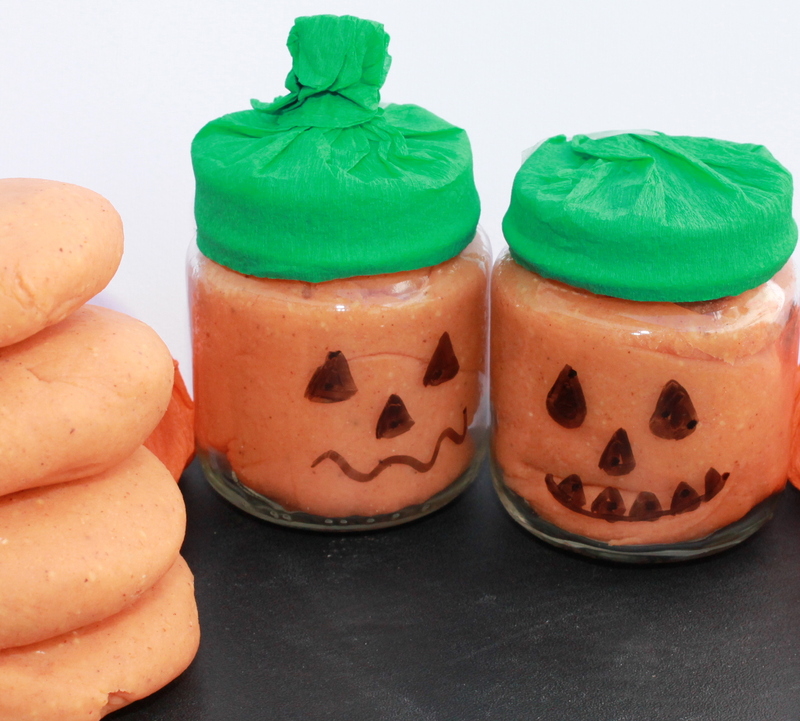 So your house doesnt’ get egged by trick or treaters because all you’re giving them is raisins I am going to share with you ways to make your non-sugary treats fun for the kiddos. If you love our ideas follow us on Twitter, Pinterest or Facebook and our readers preferred way via email. 1. Make your own trail mix- Okay, so I know I said no raisins but it doesn’t count since you can make it fun by sprinkling a few M & M’s! 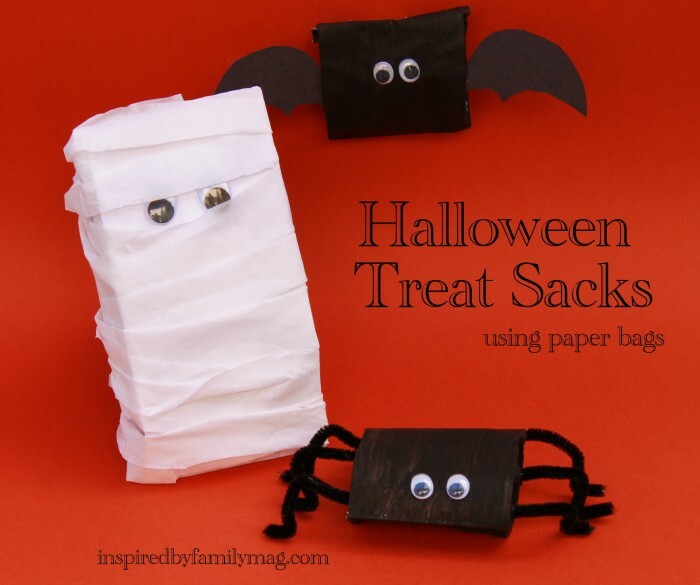 And you can make your trail mix bags fun with these adorable Halloween bags tutorial. You can pretty much stick anything inside these cute bags to give as party favors or class treats! 2. 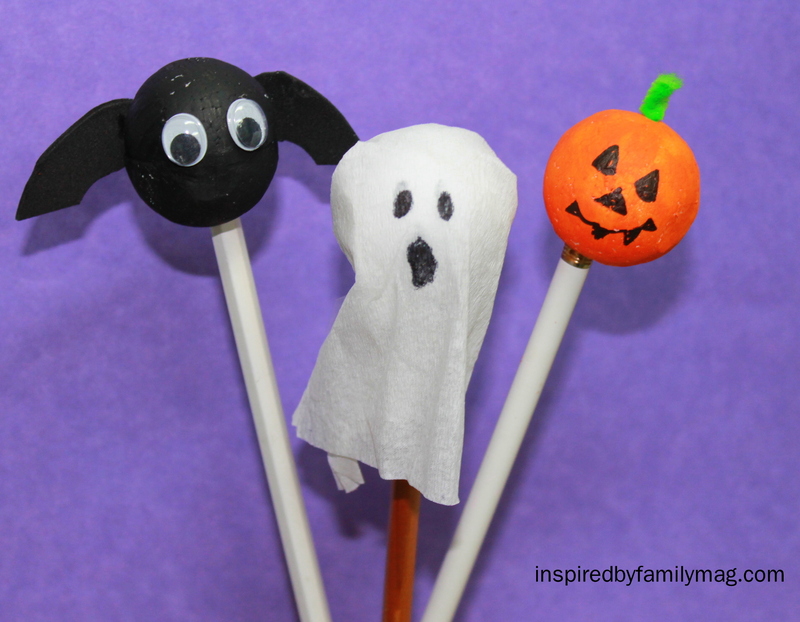 Halloween pencil toppers Easy tutorial to follow. 3. Healthy popcorn balls I have had one to many of these delish popcorn balls since I discovered the recipe. 4. Ghost Poop- Coming soon and it’s not marshmallows. 5. 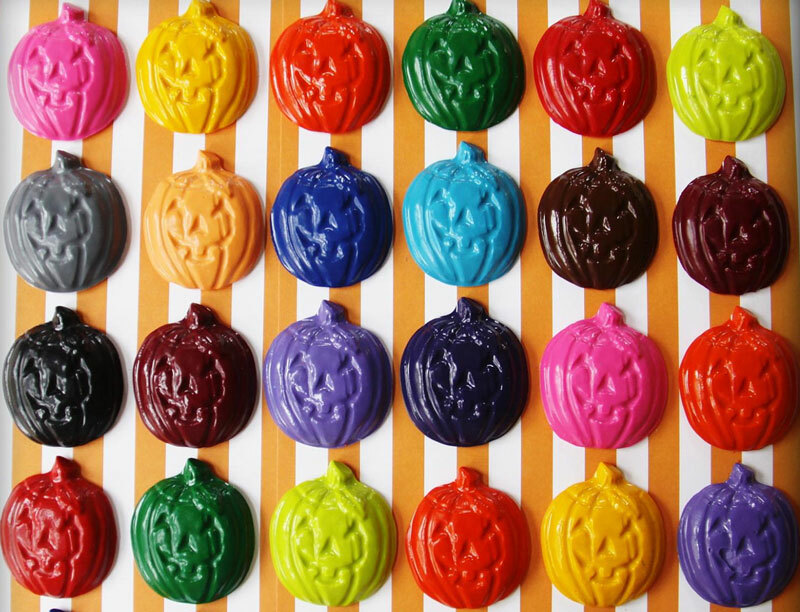 Pumpkin Crayons– Aren’t these adorable! If you are not an do-it-yourself kind of person stop over and check out Ivy Lanes cute little shop. 7. 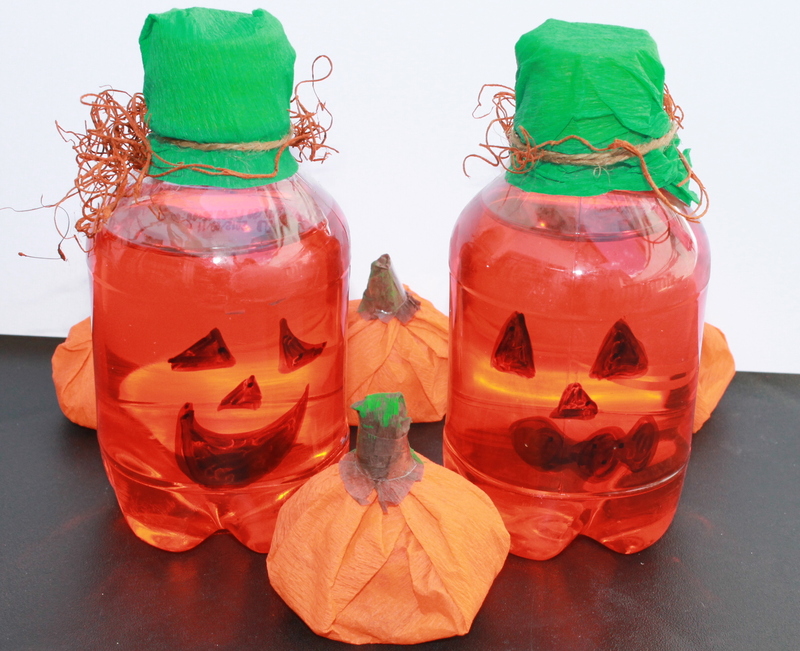 Pumpkin drinks – You will need either an orange drink or a recycled mini bottled drink and fill it with OJ. 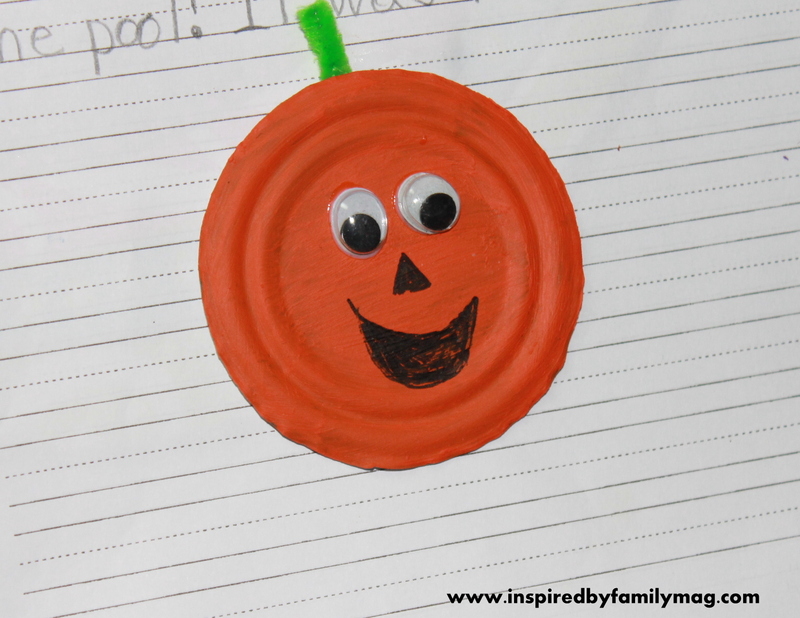 Draw the pumpkin face with a sharpie and cover the top with green tissue paper! 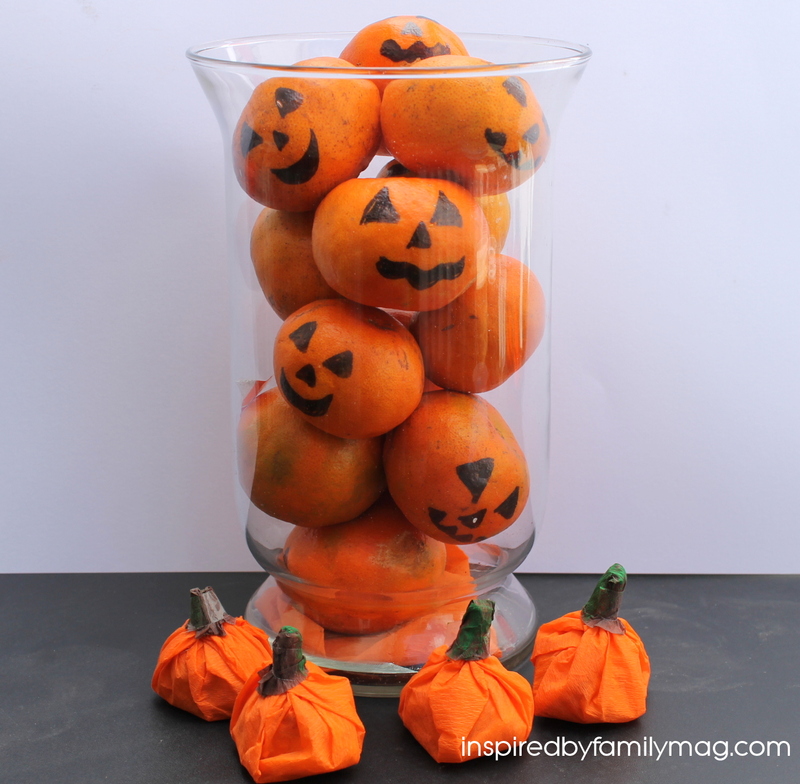 Mandarin pumpkins Or you can peel a mandarin and place it in saran wrap and top it with a celery stick for the stem! cute and healthy. I probably wouldn’t give this out to trick or treaters since most parents wouldn’t let their child eat an unwrapped mandarin but it would be great for a party or for a class treat. 9. 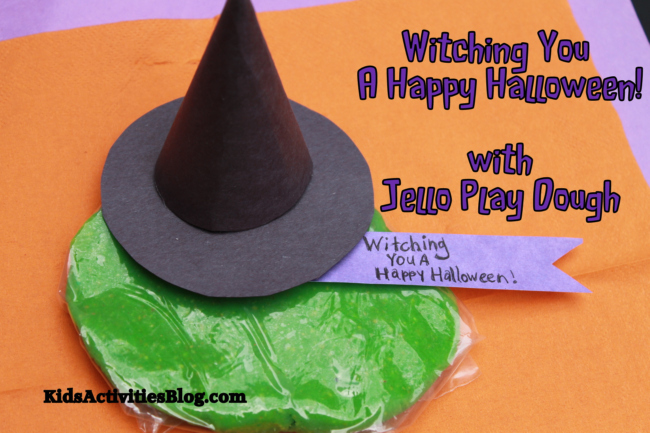 Witch play dough– These turned out so adorable! Yes, this witch is cute! It’s great for a classroom or party favor. It’s so easy your kids can make it home just for fun. 10. 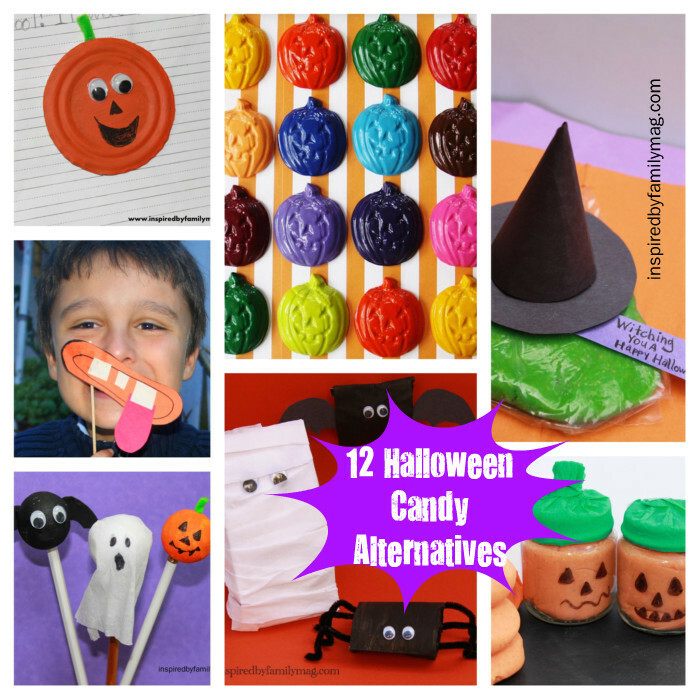 Recycled Lids bats or pumpkins – I love recycling things into crafts! 11. Toilet Paper Witches -Treat Box- Coming soon! 12. 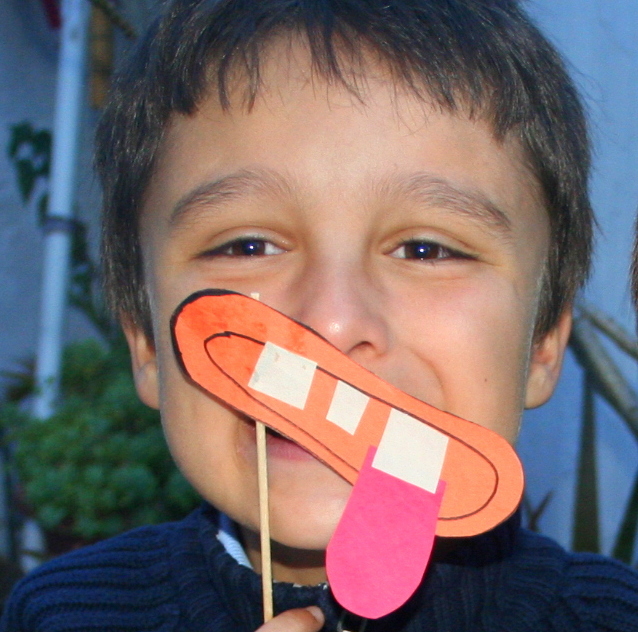 Monster Face on a Stick – Plus other fun Monster Party Ideas on this post. So many fun ideas! Those crayons may be the perfect way to recycle the slew of broken ones we have! What great ideas! 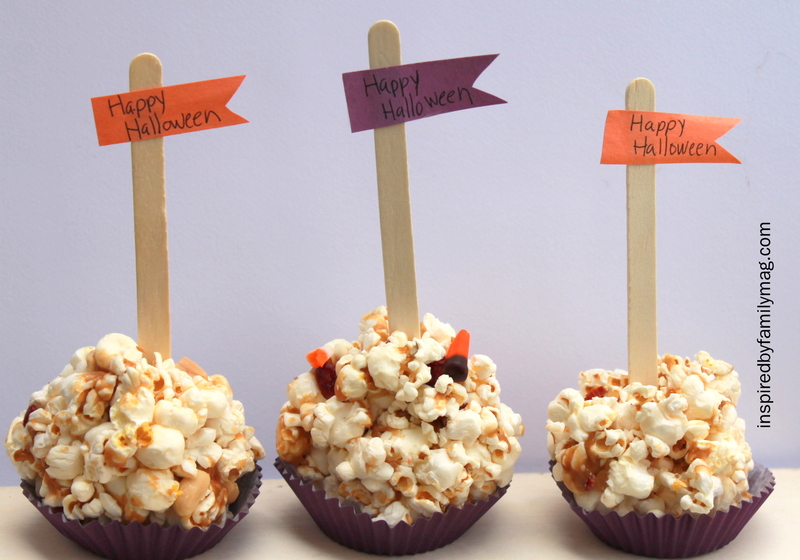 These would all be perfect for a Halloween party, where there’s already bound to be plenty of treats!